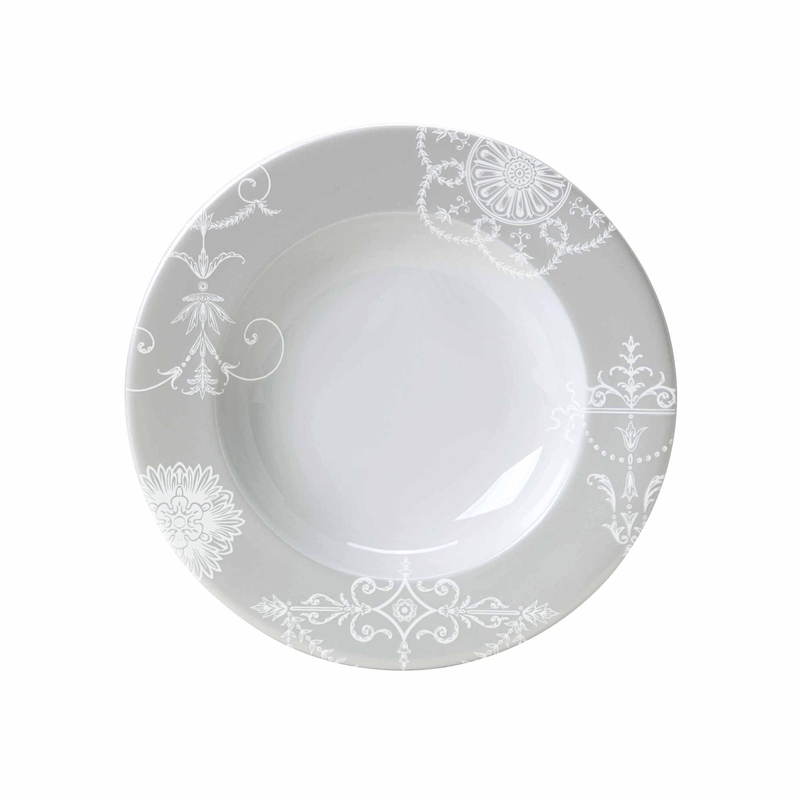 Take inspiration from Britain’s finest historic homes with the Regency fine bone china rim bowl 22cm. Influenced by the Regency period’s fascination with ornate stucco plasterwork, this bone china bowl is a beautiful setting for serving a special soup. Take inspiration from Britain’s finest historic homes with the Regency fine bone china rim bowl 22cm. This fine bone china bowl is decorated with hand drawn artwork developed by the William Edward’s design team in Stoke on Trent. Influenced by the Regency period’s fascination with ornate stucco plasterwork, this bone china bowl is a beautiful setting for presenting a special soup.